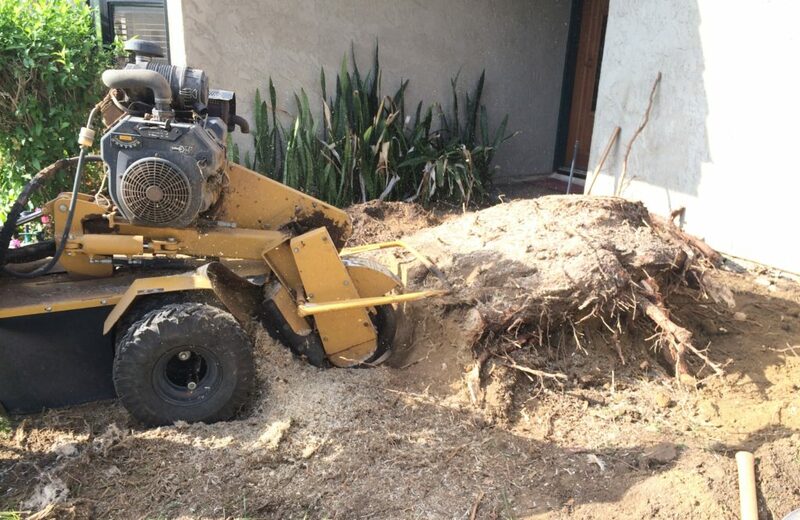 If your yard is littered with one or more unsightly tree stumps, you should strongly consider stump grinding to spruce up your San Diego yard. Read on to learn why stump grinding may be a great decision. Old tree stumps in a nicely kept lawn stick out like a pimple on prom night. These eyesores detract from your lawn, flowers and other plants. Stump grinding or removal is an affordable service and an easy way to enhance your home’s appearance. When tree removal is performed, the tree’s roots may very well stay alive and continue drawing water and nutrients from the soil. Tree roots will often produce new shoots of growth around the base. A few saplings may not seem like a problem, however this growth requires water and nutrients to be pulled away from your lawn, plants and other living trees. Tree stump removal will completely kill the stump and roots, leaving valuable resources for your landscaping. If a tree stump is dead, you may have a completely different problem on your hands. Decaying wood is an attractive home and resource for many insects. Dead tree stumps on your property may attract termites, beetles and ants, many of which may infest other nearby plants or find their way into your home. Tree stumps in your yard can take up considerable amounts of space above the surface, and much more below the surface. The old tree roots in the ground can interfere with the growth of your lawn and other nearby trees or plants as they continue to fight for nutrients and space. Stumps and surface roots can also make mowing difficult and could end up damaging your lawnmower. You may be familiar with where the tree stumps are located around your property, but visitors, children and seniors may discover these stumps as a trip hazard. To keep your property safer, you may consider professional stump grinding to permanently remove these hazards. If you have unwanted tree stumps, call us today for a free stump grinding estimate.